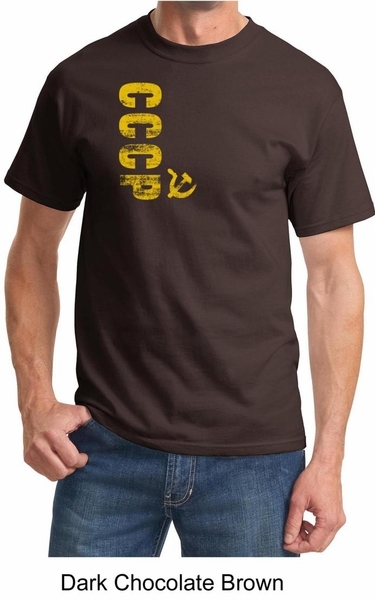 This Cccp T-shirt features a distressed Cccp vertical design chest print. 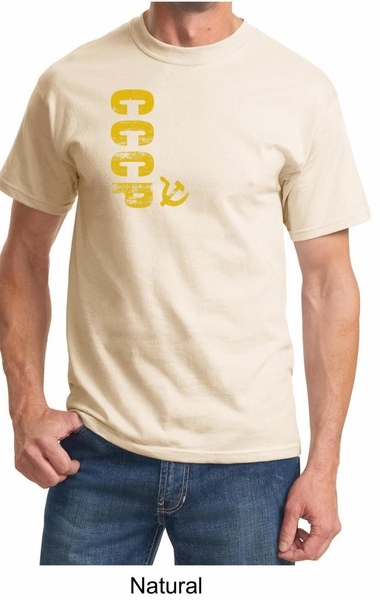 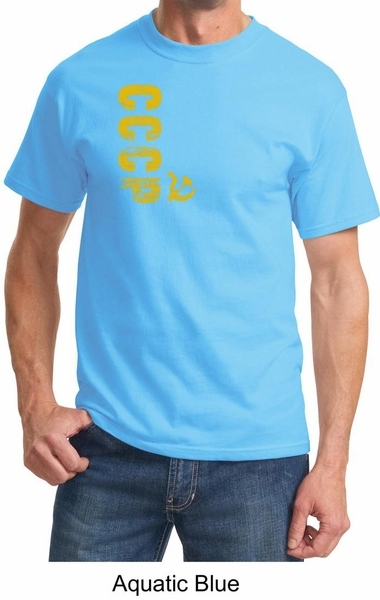 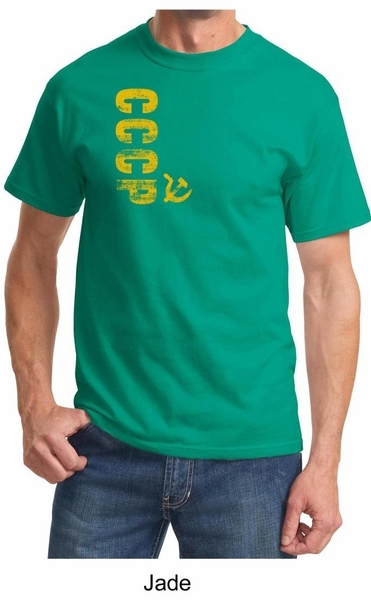 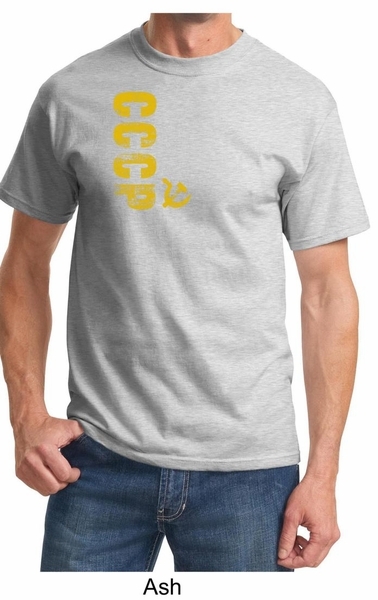 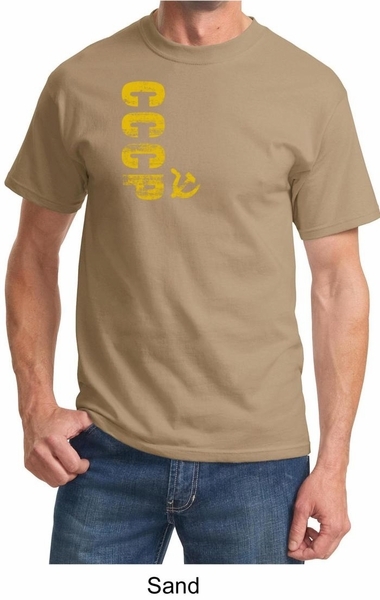 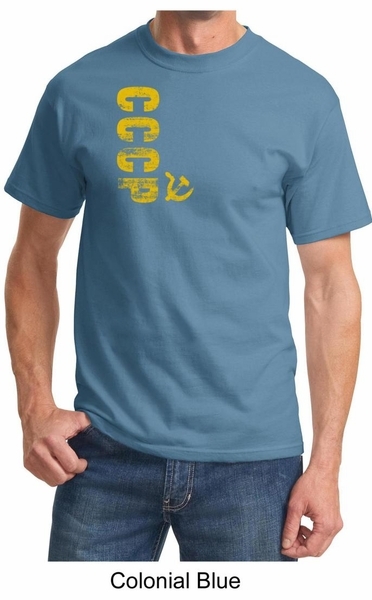 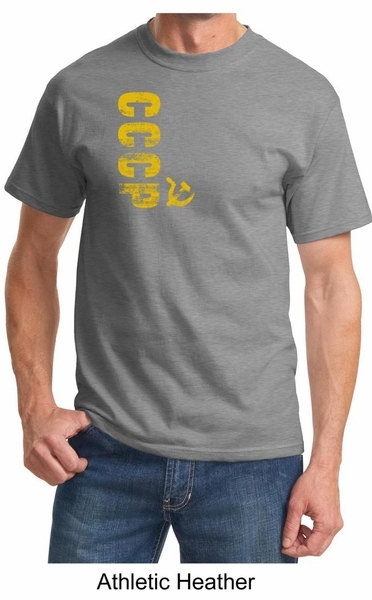 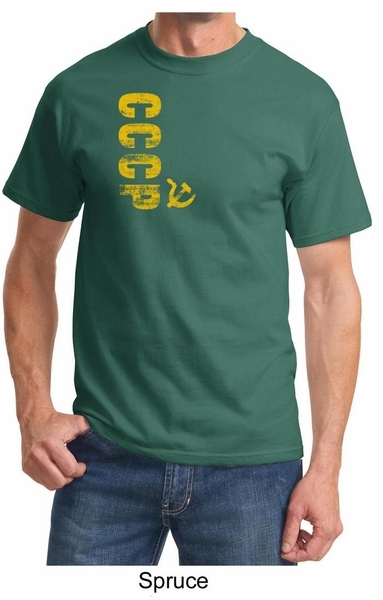 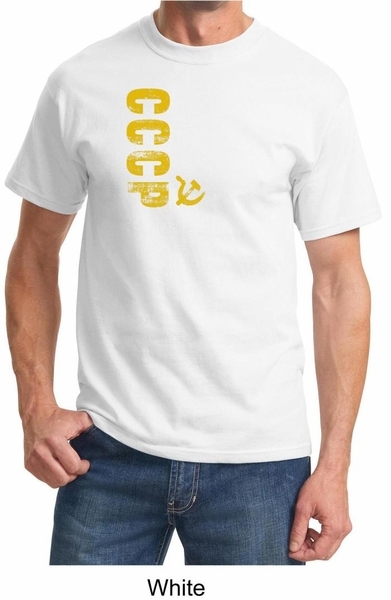 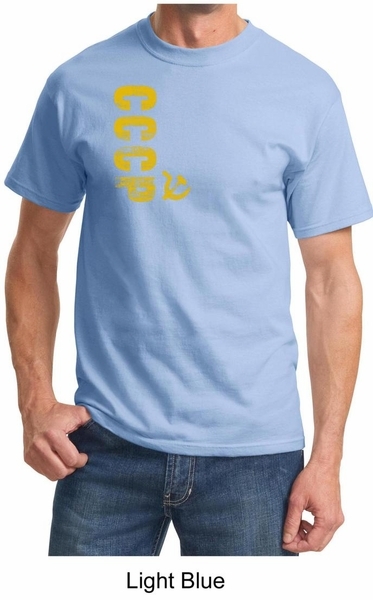 Our Cccp Soviet Union Communism adult t-shirt is an awesome tee shirt for any fan. Cccp is also known as USSR, the former Union of Soviet Socialists Republic.